We are experiencing a whole new way of recruiting. What a quick turn onto a path that’s really different than the hand-over-fist hires of last year. Yes, it’s a gig-economy but not only for Uber drivers but for marketers as well. recruiters are feeling it for sure and shifting their approaches. FTE seats are now slowly becoming critical needs to place. However, this is not making the clients hire just to fill the seats. Instead, they are contracting out to freelancers. Jobs that have gone unfilled for months because the Talent is not skilled enough to be long-term successes or because talent does not want to work full time or something similar. Some clients are feeding the gig economy, for better or worse, just to get the work out the door. But for the most part, it’s a massive hunt for someone who has all the components needed to be successful. But are these temporary fixes doing the job correctly or are they BAND-AID’s to stop a gush from an open vein? Finding the temp to fill a gig solution is all well-and-fine but what does that mean for the full-time worker who is seemingly happily employed now? It means they are getting a barrage of outreach from every vested party with these searches. And, trust me, there are tons of people heavily vested in just filling one position. 10,000 outsourced recruiters (but who is the best and most trusted)? So how do you make sure you have the right candidate? The kicker here is that anyone can write key words on their LinkedIn profile that will get their inbox full with “we have a great opportunity that fits right with your experience”. Those candidates who answer will be put to the test to make everything (experience, solving problems, creative thinking, writing and of course data) match where it is supposed to fit. We find we are competing against others who are in just hopes of pushing “paper” rather than understanding where does one find that truly The right match for an open position? There is a slathering of HR generalist’s and keyword resume searchers who scan for content-rich LinkedIn profiles vs. having a true industry understanding & knowledge set to identify a long-term match. From an outside seat, the answer is pretty complex as to where to find the right candidate. I have strong ideas on how to be successful in this market. Although sometimes in recruiting its luck, for the long-term successful headhunter, recruiter, talent agent, luck will not keep your doors open. With the new UX on LinkedIn, the right match will certainly not be found there for a long while. From experience, finding the right match is having a specialized network in one industry. And saying we can find this person to a client when in fact, there is little possibility of success will be the death of your recruitment business long term. Be honest. Stay focused. Keep close to your top talent. Finding the right candidates is also not all about networking; it’s about knowledge. This is truly important. A career recruiter is not going to be successful if they do not understand who they are searching for, where to look, have a network in one specific vertical they can source then dig through a mass of clutter to find the right person. 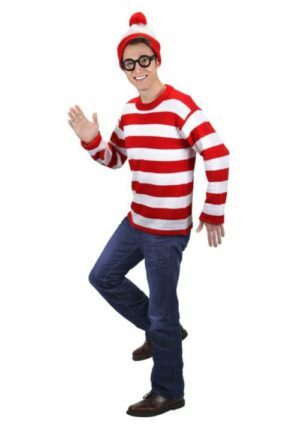 Here is where Waldo comes in…..